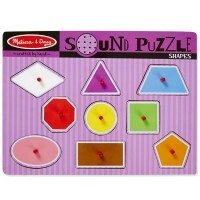 Just slot the right wooden puzzle piece in and hear a horse neigh, a dog bark, or a cat meow, as you play with this Melissa & Doug pet sound puzzle. 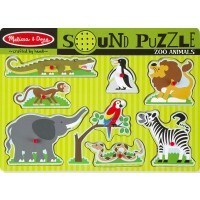 Pets Sound Puzzle by Melissa and Doug will make you feel as though there are real animals in the room! With 8 different wooden pieces to match to their spots, you'll feel as though you have a miniature pet store. Just slot a piece in and hear a horse neigh, a dog bark, or a cat meow. 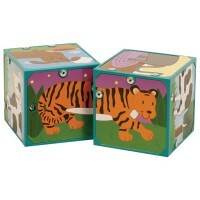 Learn to recognize which animals make which noises through this fun electronic puzzle. 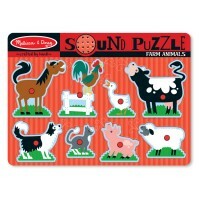 This animal puzzle from Melissa & Doug's sound puzzle series is one of the bestselling first puzzles for toddlers and preschoolers. 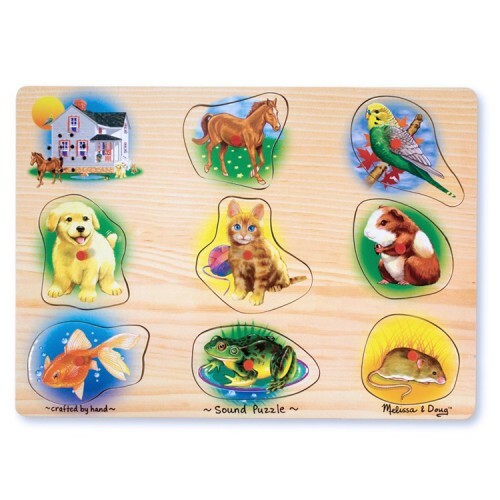 Pets Sound Puzzle helps develop thinking skills and teaches your little one about their favorite animals! 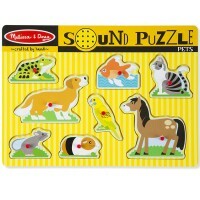 Pets Sound Puzzle from Educational Toys Planet sounds like just the thing for your child! 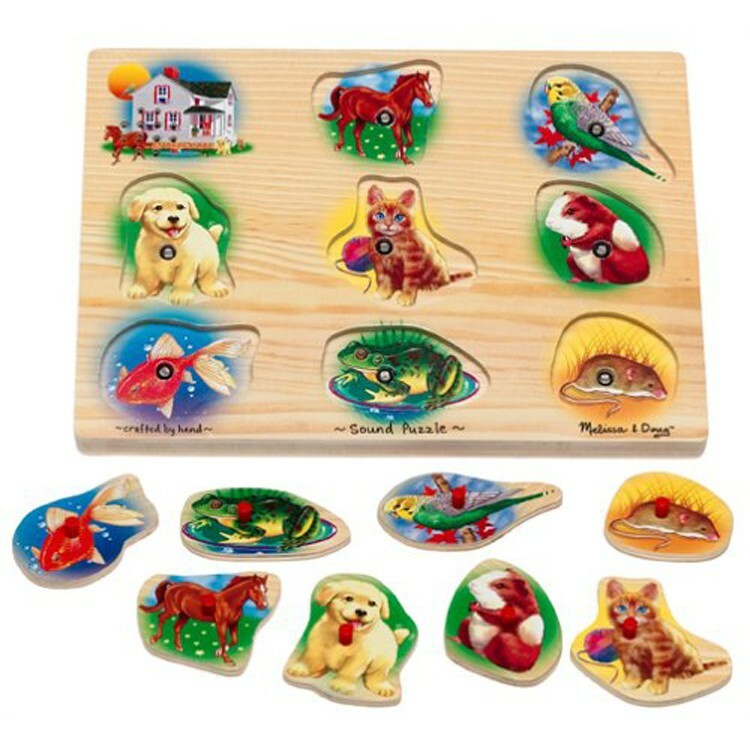 Write your own review of Pets Sound Wooden Puzzle. 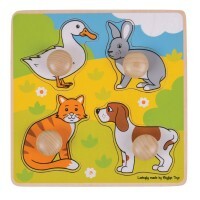 Rating: 4 Fun and educational by Jessica G Very fun puzzle for kids who are interested in animals. 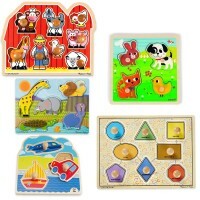 It is a great way to practice spatial and problem solving skills while also practicing animal vocabulary and animal sounds. The one drawback is that the sounds can be a bit faint. 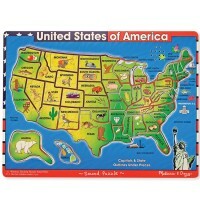 However, other than that, it is a great toy and Melissa and Doug always provides quality at an awesome price! 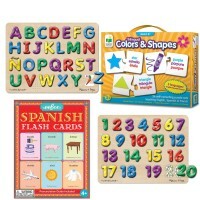 Rating: 5 by John, FL Decent kids product. Nice pictures. Good quality. Kids like it. 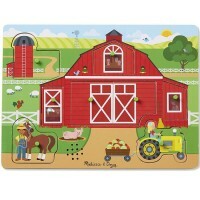 Rating: 4 by Karen A Aaron, NY This puzzle isn't bad, it's ok and I like it.